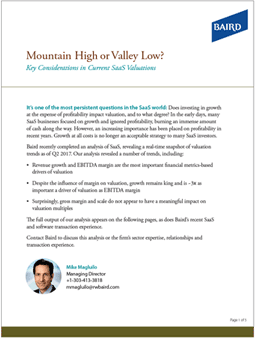 Mountain High or Valley Low? It’s one of the most persistent questions in the SaaS world: Does investing in growth at the expense of profitability impact valuation, and to what degree? 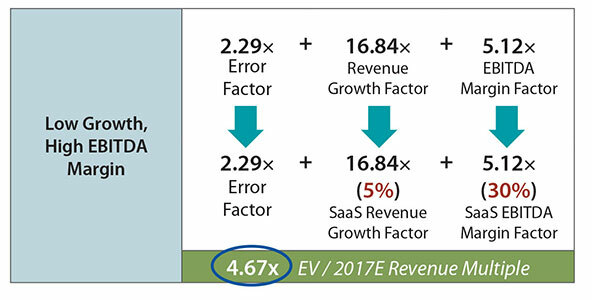 In the early days, many SaaS businesses focused on growth and ignored profitability, burning an immense amount of cash along the way. 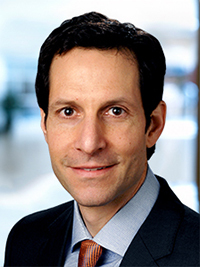 However, an increasing importance has been placed on profitability in recent years. Growth at all costs is no longer an acceptable strategy to many SaaS investors. The full output of our analysis appears below, as does Baird’s recent SaaS and software transaction experience. 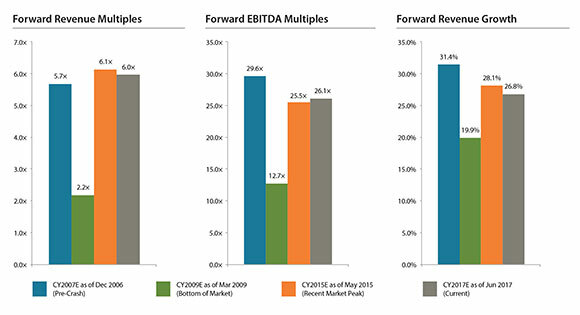 While software multiples in recent periods were most highly correlated with combined "revenue growth + EBITDA margin," revenue multiples are now most highly correlated with revenue growth. Source: Capital IQ as of June 30, 2017. Note: Charts above reflect metrics for Baird’s Software index, comprising ~200 publicly traded SaaS and traditional software companies. Valuations continue to benefit from scarcity value, increased understanding of SaaS models and investors seeking growth. Note: Charts above reflect metrics for Baird’s SaaS index, comprising ~75 publicly traded SaaS companies. What Do Public Market Valuations Mean for Your SaaS Company?